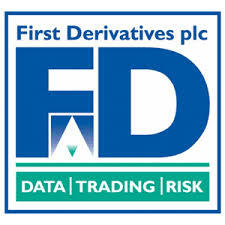 A technology provider to the financial industry, First Derivatives has been increasingly focused on catering to the “big data” analysis needs of the sector. The firm’s Delta Stream solution is used by financial regulators and stock exchanges to track trading anomalies between market participants. In addition, First Derivatives’ Delta Flow product is used by forex brokers to stream liquidity to their clients as well as to dynamically adjust spreads as market conditions change. The firm also began to expand its big data services beyond the financial sector when it announced the launch of Delta Marketing Cloud to target digital advertising customers. Continuing its focus on data analysis, First Derivatives has announced that Delta Data Factory (DDF), a market and reference data solution, is now available on MongoDB. MongoDB is among a new class of NoSQL database products where information isn’t stored using tabular sets like traditional relational databases. Depending on the query type, NoSQL databases are able to retrieve data faster as systems have more control in finetuning what data points are being searched. As a result, NoSQL technology like MongoDB has been growing in its deployment within the big data sector as a provider of faster and simpler analysis results. At First Derivatives, DDF will continue to be available in relational database form, with MongoDB becoming an alternative for clients seeking a NoSQL solution. Composing its market data, DDF connects to over 100 sources including Thompson Reuters, Bloomberg and IDC.